What Does Code P0032 Mean? OBD II fault code P0032 is defined as “HO2S (Heated Oxygen Sensor) Heater Control Circuit High(Bank 1 Sensor 1)”, with “Bank 1” referring to the bank of cylinders that contains cylinder #1 on engines with two cylinder heads, and “Sensor 1” referring to the oxygen sensor located before the catalytic converter(s), i.e., upstream of the converter(s). OBD II code P0032 is most commonly set when the PCM (Powertrain Control Module) detects a signal voltage or a resistance level from the oxygen sensor control circuit that does not fall within predefined parameters. On most applications, the sensor heater circuit voltage should closely match the battery voltage, and a deviation from battery voltage of around 10% will lead to the PCM generating and storing a fault code, and illuminating the CHECK ENGINE light. On most applications, the electrical resistance in the circuit should be around 8 Ohms, and a deviation of around 10% from this value will result in a code being stored. A code can also be stored when the PCM does not detect a change in the oxygen sensor reading for periods of more than 8 continuous seconds. 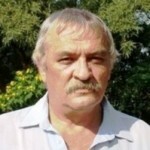 There is no ideal fuel to air ratio that applies to all engines under all conditions, and many factors, such as driving style and driving conditions can swing the ideal mixture for a particular engine towards lean or rich conditions. However, the PCM on any particular application collects data from various sensors (including the oxygen sensor(s)), to calculate and deliver the ideal air/fuel mixture to suit the reigning operating conditions. 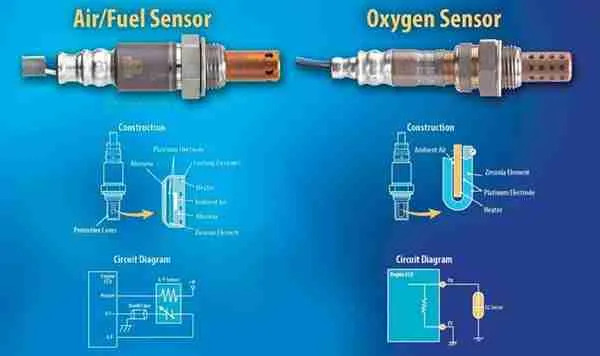 NOTE #1: Modern oxygen sensors are heated electrically, which makes them responsive much sooner than if they were heated only by the exhaust stream, thus reducing emissions, as well as the time required for the PCM to enter a closed-loop mode. 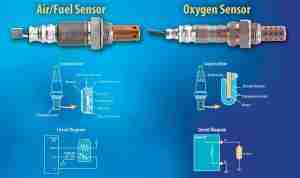 NOTE #2: Some applications, such as some Toyota and other Japanese cars, use AIR/FUEL SENSORS instead of conventional heated oxygen sensors. Refer to the relevant manual for code setting parameters and testing procedures for these applications, since the two types of sensors are NOT interchangeable. What are the common causes of code P0032 ? What are the symptoms of code P0032 ? How do you troubleshoot code P0032 ? NOTE #2: Diagnosing code P0032 requires that the engine be in good running order, with no unmetered air entering the engine. If other codes relating lean running, or misfiring conditions are present long with code P0032, repair these issues first before attempting an electrical diagnosis of this code. Since burnt wiring is a common cause of code P0032, thoroughly inspect all associated wiring and connectors for signs of damage, short circuiting, or corrosion. Pay particular attention to the routing of wiring, since unsecured wiring can burn against hot exhaust components. Repair all wiring issues as required. If obtained readings do not fall within this broad range, or if there are long periods (typically 8 seconds and more) during which the readings remain constant, remove the oxygen sensor(s) and inspect it/them for signs of discoloration, or the presence of undesirable deposits. Both conditions can cause code P0032, meaning that the cause/origin of the discoloration or deposits must be found and corrected. Hello I have a 2010 Kia Soul with a 2.0 automatic transmission. It has 91k miles and the check engine light came on and read p0032 heater circuit to high on bank 1 sensor 1. So I replaced the sensor and cleared the code. Now when I turn on the car it takes about 1mintue for it to pop back up. And tips you might have ? Have you checked the circuit from the ECM? It seems you might have a short circuit somewhere between the ECM and the sensor.